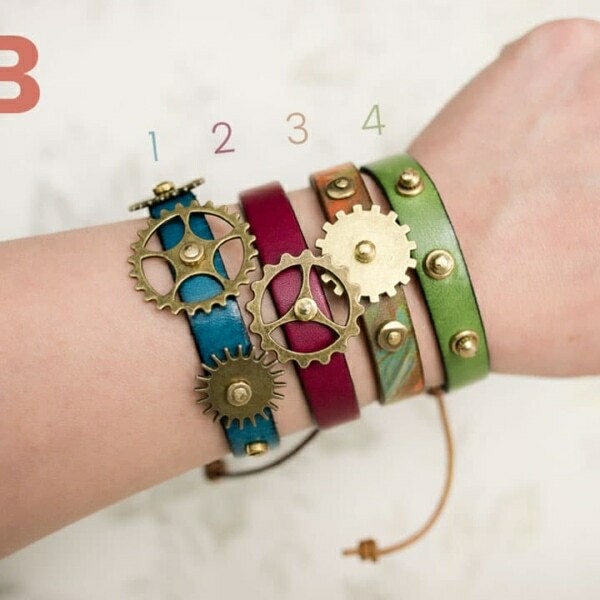 Leather combined with Steampunk-esque bronze gears equals a tongue-in-cheek name, the Bad*ss Bands, for the leather bracelet collection that will make you the coolest person on Earth! 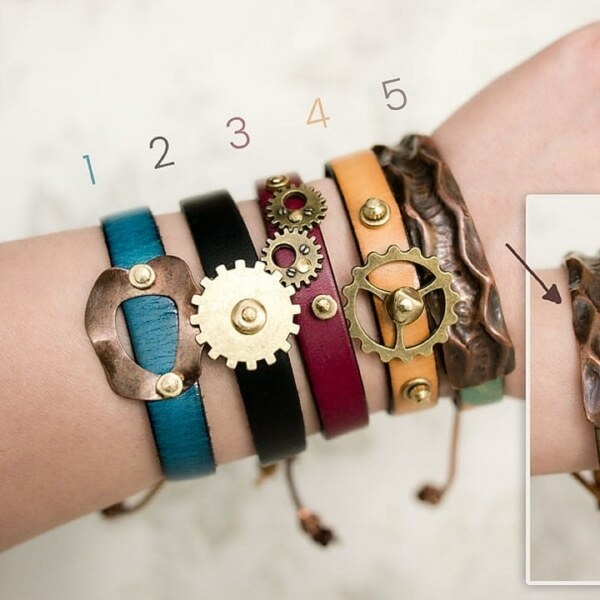 They’re meant to be worn in stacks, rock ‘n roll style, baby! 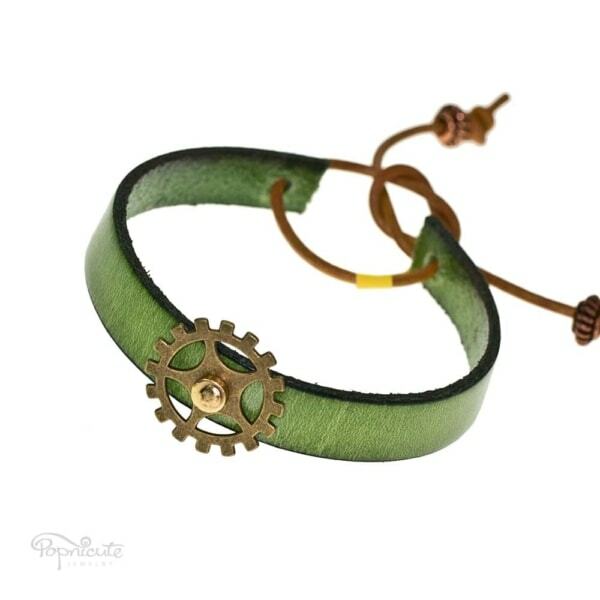 Steampunk chic, biker chic, whatever you want to call it, these leather bands are the confidence booster that you need. 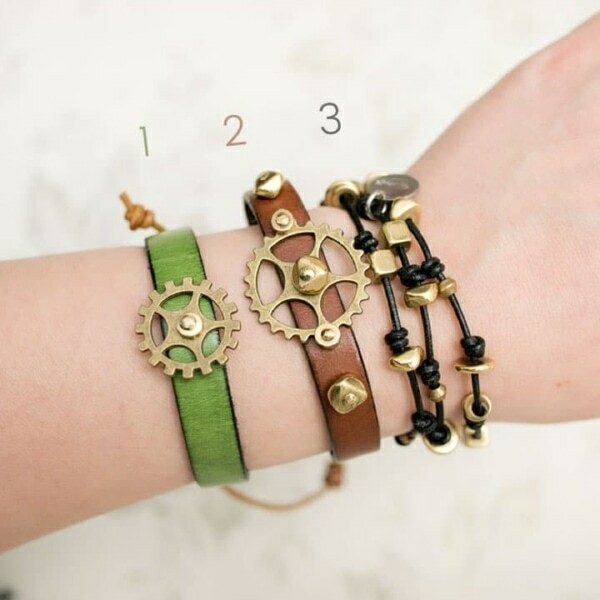 PRO TIPS: Pair these steampunk leather bands with copper and brass bangles and bracelets. 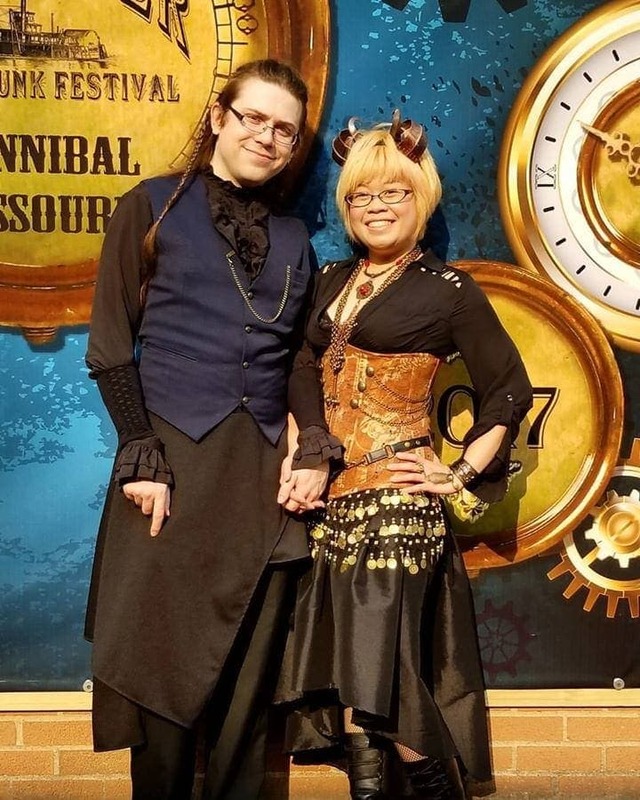 Extra brownie points if you wear them to a Steampunk Festival all dressed up! 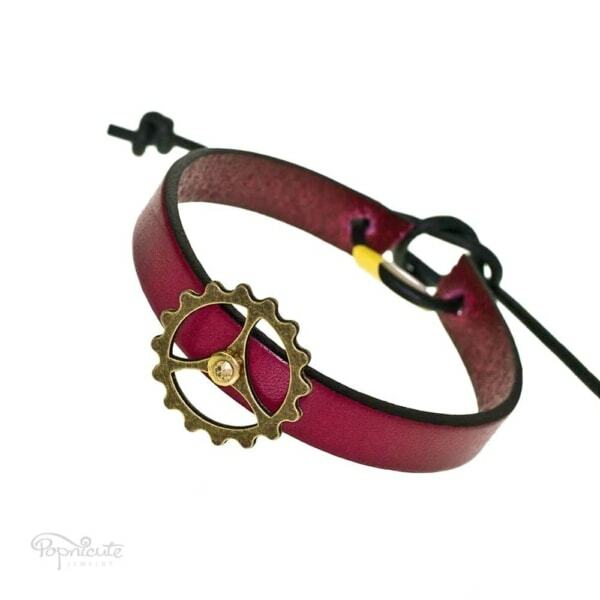 Do you own Popnicute's Steampunk collection? 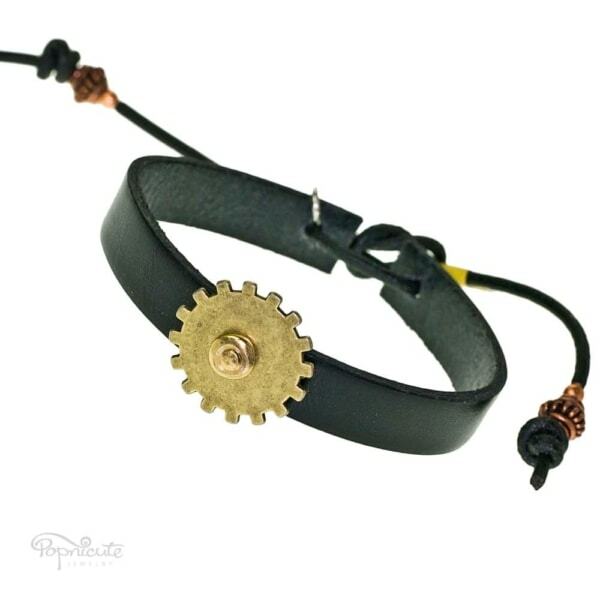 Leave a review.